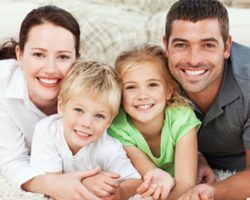 At Gentle Family Dentists, we are a family practice in every sense of the word, and we promise to do our part to keep our patients smiling at every stage of life. That’s why we offer dental sealants as part of our pediatric dentistry services and we continue to make them available to people of all ages who come to our offices in West Liberty and Muscatine, IA for preventive dental care. In this video clip below from the American Dental Association, you can learn a little more about what dental sealants can do for you in terms of protection from cavities, etc. Just be sure to contact us online or call us at 563-288-2612 today, once you’ve finished watching. We’re ready to book your 2019 dental appointments now so that you can enjoy the benefits of a healthy smile all year long!